Warren Buffett made to the list of richest men through investing. 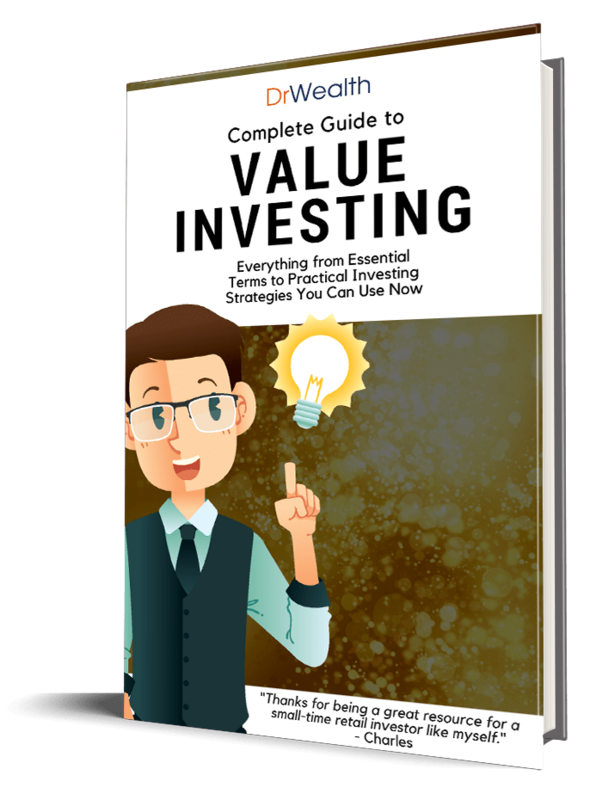 Many investors are inspired by his success in value investing and believes that Buffett’s strategy is the most superior. The funny thing is that Warren Buffett has never described his strategy in detail except stating a few considerations in his letters to shareholders. Commentators and authors studied Buffett’s investment choices and concoct theories on how Buffett chooses his stocks. The investment concept of earnings growth, intrinsic value and competitive advantage has define the investment culture of our time. I’ll challenge the concept of earnings-based investing in this article and offer you an alternative way to invest. Ashton is a retiree. He worked hard during his career and accumulated enough wealth to own a $1m house and $1m in stocks. He has no debt or any liability. He has a reasonable standard of living and the dividends from his stock investment are more than enough to pay for his expenses. Earnest is a very successful lawyer who earns $200k a year. He has found his niche in his practice and no one else could compete with him in this area. He expects his income to grow by 5% per year for the next 10 years. If this is true, his income will grow to $325,778 in the 10th year. He does not have any assets or liabilities. If you were to put your money in either Ashton or Earnest, who would you choose? Assuming you can invest in them and “own” them for $1m, who will it be? Ashton is assets-rich but has low or no earnings. Earnest on the other hand, has earnings but no assets. If Ashton and Earnest are companies, Ashton has low Price-to-Book ratio (P/B) while Earnest has a high discount to its intrinsic value. The so-called Warren Buffett style of investing will choose Earnest because of his earnings prowess. However, remember that it is estimated and projected that Earnest will have his income growing at 5% per year. There can be many possibilities for Earnest not to earn that income. For example, he may meet an accident and unable to work anymore. He may also acquire so much debt that his income cannot cover. The uncertainty can never be eliminated and would you put so much faith in his future as an investor? Benjamin Graham has many disciples and Warren Buffett is just one of them. There is another successful but very much less known disciple of Graham – Walter Schloss. Walter Schloss has averaged about 15.3% returns per annum for 45 years. If you have invested $10k, you will have $6m after 45 years. Warren Buffett pays a lot of attention on assessing the management of the company (according to experts on Warren Buffett). He will only invest after doing substantial amount of investigative work and interactions with the management. Schloss knows his strengths and weaknesses very well and play the investing game to his advantage. He knows his firm is small and he won’t get access to management. Malcolm Gladwell wrote about David and the Goliath, where you should know whether you are a big player or a small player, and play a strategy that applies to your context. Being a small shareholder, it is much easier to invest in assets than earnings. It is true that earnings is the key driver of stock price. But I will challenge that it is because the entire investment community and the financial industry paid too much attention on earnings that it became the most important driver of stock price. Any factor can be a key driver to stock price as long as majority of the investors focuses on it. The common worry for investing in companies with discount to their assets but have poor earnings, is that the stock price may never reflect the value of the companies and even if it does, the wait might be very long. Any of these 3 things happen and the stock price will go up. That will be an opportunity to realise the profits. And yes, you have to wait for these 3 things to happen and you will never know when. We are all small retail investors and we must acknowledge that. We have no influence on companies’ management and they won’t give a damn if we want to speak to them and understand their outlook of their business, or even accede to a tour around their company compound. By the way, I do not think we have the time and interest to do what Buffett does. If so, play like what a small player should do. Invest in asset-rich companies like Schloss. It is a much easier game geared for the small investors. Of course, buying assets is not just buying low P/B companies. There are more to it but we shall leave it for another day. Do subscribe to our email update and look out for it! Well written! At least someone is writing about the “poorer” half of the Buffett-Schloss twin disciples of Graham. One is forward looking, more intelligent, higher IQ and achieves outstanding results. The other is the slightly dumber, more kiasu-half that just looks simply at assets and consequently achieves slightly inferior results. yes Eric. thanks for introducing Walter schloss to us! like everyone else, we won’t know about him and his strategy if u have not told us! I would integrate both approach, i.e. steady earning and high discount of NTA. Thanks for that Alvin. I guess its different strokes for different folks when it comes to investing. You see that in golf as well. There’s no one perfect stroke. Players’ stroke is calibrated to the players’ physique. However, I find in these day and age, buying cheap assets can open up risk of value traps. More and more we find companies valued at high premium to tangible assets because the Brand factor (competitive moat) hinges on their intangible assets. We know Nike doesn’t manufacture it’s own shoes. It’s job is mainly in managing its brand. Nike has as many patents as Facebook. So how do we value such intangibles? The advent of out sourcing has resulted in low capital investment and as such high price to asset value. More importantly, the major risk of focusing on low price to asset value is not that investors going to lose money but more like investors are going to miss great opportunities – another cardinal sin of investment. Let me share with you an example of this sin which I have committed. Early this year I took a look at Google , trading at that time at $780/shs. All metrics pointed to over valuation, certainly on price to book basis. It was trading in Feb 2013 at over 3x P/B. I thought its expensive. However the price action was very constructive. I gave it a miss and the stock closed at $1011/shs on Friday. Another example is Facebook, another one of those sin I committed. I took a close look at $26/shs. The stock has just gotten killed post its overhyped IPO and analysts had scaled back expectation. It was shaping up to be a scenario where there’s higher chances of good news than bad after its IPO hangover. I gave it a miss again on the same value metrics. Now its $54.22/shs. My point is this: whatever methodology you employ identify its strength and weakness and then apply it accordingly. Losing money in investment is bad. Missing great opportunities is just as terrible. Whatever it may be we just have to live with our decisions and learn from past sins. Yes, different strokes for different folks. I would say earnings are where the big money is. 10 investors who try to buy earnings, 1 will be filthy rich. 4 will be quite rich. But 5 wi underperform the mkt average. 10 investors who try to buy assets, 7 will be reasonably rich and 3 will underperform the mkt average. In other words, buying assets won’t make u to the richest list but earnings will. However most ppl will do worse trying to chase the next big thing. It is entirely up to the investor, does he want to be very rich or reasonably rich?